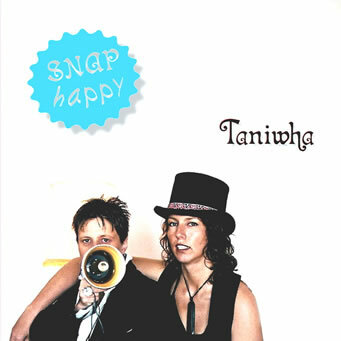 'Taniwha' is Hinemoana Baker and Christine White and a Black and Decker workbench, a trio making sweet music with anything and everything they have to hand. 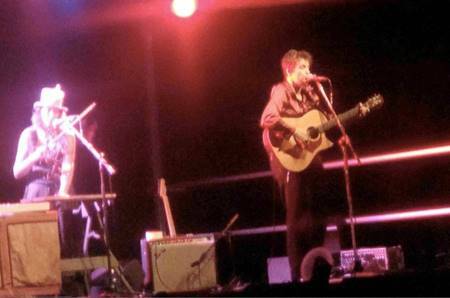 As singer-songwriters in a folk/pop tradition, Hinemoana and Christine's guitars and beautifully woven voices are still their mainstay. But as all artists do, they've been experimenting. 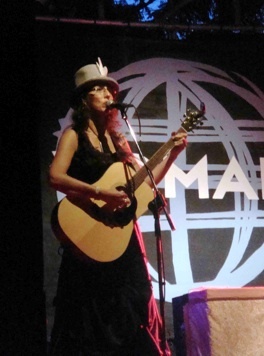 Many of their recent instruments have been acquired from Trash Palace, their local recycling station in Tawa. 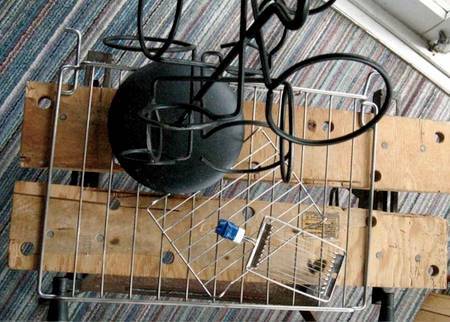 They are particularly thrilled to have acquired their Casiotone keyboard for $1.00, and their cheese grater, oven grills and steel wine rack for free. And what use would musicians have for sundry kitchen utensils on stage? 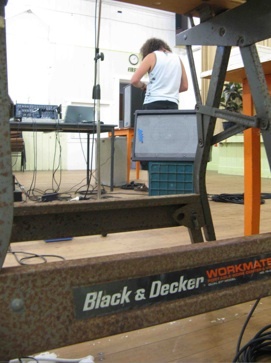 Well…The real taniwha in the band is an instrument Christine has built out of a Black & Decker WorkMate (Registered Trade Mark). 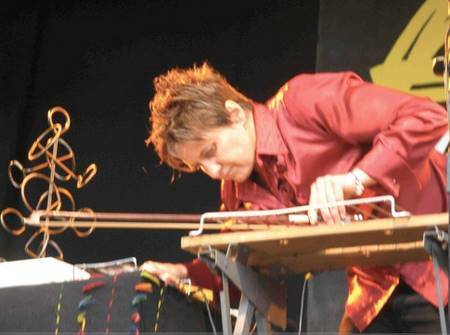 The ambient sounds you hear in ‘Day After' and ‘Dumb White Girl’ are produced by this fabulous monster, inspired by sonic artist Eric Leonardson’s ‘Springboard’, which is made out of a modified zimmer frame. The taniwha’s secret lies in a steel plate bolted to the workbench’s surface,to which are attached a few contact microphones. The microphones amplify very small sounds and the soft draw of a cello bow into the groans of icebreaking ships, the clicks and sirens of whales, the roar of industrial machinery or the haunting ache of a koauau or a putatara. When the duo perform live their sound engineer Andrew Dalziel helps keep the workbench’s massive dynamic range in hand. Both artists have very much enjoyed the collaboration involved in making this album, and in forming their new duo. The production decisions for their debut album Snap Happy have revolved around wanting to capture as much of a live take for every track as possible.